On Friday 9 February, Salford City Labour council announced that it was planning a consultation exercise over the closure of all five of its council-funded ‘outstanding’ Ofsted-rated nurseries in the city. The council is citing a £1.7m shortfall in funding, outside a further £11.2m austerity cuts elsewhere in the city. These nurseries are located in some of Salford's most deprived areas; Salford overall is in the top 10% of deprived cities in England. Just over a week later, at a packed public meeting of over 200 people called by Salford Unison, residents voted overwhelmingly to set up a campaign against the closures. The meeting rejected a call by Salford's Mayor Paul Dennett, a Corbyn supporter, to participate in a joint campaign with the council against the governments cuts. As Unison representative Ameen Hadi put it, this would be a conflict of interests: there could be no joint campaign as long as the Council proceeded with its so-called consultation exercise on the closure of the nurseries. Over 100 jobs will be lost by such a decision, quite apart from its long-term impact on the children and their families that attend them. 327 children, 87 of them with special needs, attend the five nurseries. In a completely sectarian action, Manchester branch of the ACORN tenant union has said it is banning members of the Revolutionary Communist Group (RCG) from attending its meetings and events. It follows an incident where Manchester ACORN members, led by supporters of Plan C, a self-styled autonomous revolutionary organisation, stopped a member of the RCG, a social tenant, from selling Fight Racism! Fight Imperialism! outside an ACORN meeting after it had ended, and told him he was banned. When another RCG comrade and local tenant tried to attend a subsequent public ACORN training session on tenants’ rights, he was told that there had been a ‘democratic decision’ to ban the RCG from attending ACORN meetings. The ACORN organiser told the comrade that ‘ACORN had experienced trouble nationally with the RCG and that there was a blanket ban on RCG members attending ACORN meetings’. The organiser further commented that this was a democratic decision by the union and no member of RCG would be allowed to any of their meetings or events. The organiser lied. There has been no national ACORN decision to ban the RCG, let alone any ‘blanket ban’. There had been no national consultation or vote to ban us. 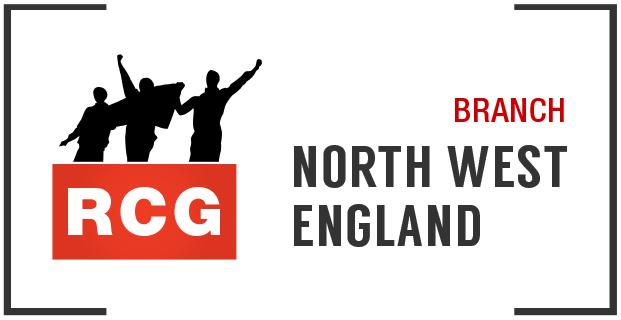 The RCG has worked with ACORN in both Bristol and Newcastle; there has been no ‘trouble’ with our comrades. There has been no ACORN meeting in Manchester to decide on such a ban: the branch was only set up three weeks ago. The ‘decision’ has been made by an unelected clique involving Plan C, Jonny Butcher, Sheffield’s full-time ACORN organiser and a few others. Plan C wishes to lead Manchester ACORN into a close working relationship with the Labour Party. It wants to make sure it does not face any challenge to this political strategy. It cannot do this through open democratic debate, but only behind closed doors. Plan C and this clique therefore want to vet tenants on their political affiliations before admitting them to Manchester ACORN, to ensure that communists are excluded. Lying to ACORN members about the relationship between the RCG and ACORN is essential to justify such a ban. A subsequent suggestion by Butcher that the ban was only ‘temporary’ as a sort of compromise is nonsense: there are no grounds for such a ban regardless of duration. The RCG both locally and nationally campaigns on housing, helping to organise in campaigns like Focus E15, and in solidarity with Grenfell. Locally, it has been involved in a ‘Yes to DSS’ campaign, Save The Grange in Salford, and supported others such as Manchester Activist Network and their struggle for decent housing for homeless people. RCG tenants have also participated and helped to organise with ACORN in other parts of the country. RCG comrades who are tenants will not allow themselves to be excluded from a tenants’ union because they happen to be communists. The RCG fights for democratic and open campaigning and rejects any attempt to censor socialist and working class voices. Fight Racism! Fight Imperialism! condemns the University of Manchester’s (UoM) attempt to shut down our filmshow and discussion of ‘Leila Khaled: Hijacker’ for Palestinian Land day. Martin Conway, the Deputy Secretary of the university, contacted the Catholic Chaplaincy directly to force the cancellation of our booking. No attempt to contact Fight Racism! Fight Imperialism! was made and no reason for this attack has been given publicly. UoM has joined a growing list of British institutions protecting its connections to apartheid Israel. It is also caving in to Zionist pressure groups like the Northwest Friends of Israel (NWFoI), which engaged in racist attacks on Palestine supporters at a recent BDS meeting and is exerting pressure on the university itself behind the scenes. What has become clear is that UoM leaders take more notice of the fascist agenda of Zionist thugs than the political expression of its own students. Attempts by Conway and other university bureaucrats to cancel Israeli Apartheid Week events and to sanction two students for a pro-Palestine banner drop are political acts, backing up the ruling class attack on political opposition under the guise of the anti-Muslim Prevent strategy. By attempting to shutting down pro-Palestinian campaigns UoM is actively supporting the status quo of apartheid in occupied Palestine. On 25 February Manchester RCG supporters organised to disrupt a ‘march against cuts’ led by pro-austerity Labour politicians. While Labour organisers expected 2,000 people (according to Showsec event workers), their ‘anti-cuts’ parade attracted barely 350, including sellout union leaders from Unison and the NUT who had failed to even mobilise their own members. Flanked by Greater Manchester Labour mayoral candidate Andy Burnham and MP Lucy Powell (who voted to bomb Syria) were councillors who have voted unanimously for cuts budgets every year since 2010. Cutbacks in the Manchester City Council area in that period amount to over £300 million, including youth centres in Longsight and Moss Side, library closures in Northenden and Hulme; council funding has been cut for women’s refuges, dementia support, mental health drop-ins, leisure centres, school crossings and much more. RCG protesters used megaphones to shout down the hollow speeches of Labour council leaders Richard Leese and Rosa Battle about ‘protecting the vulnerable.’ This year the councillors on the ‘march’ are pushing through another £30 million in cuts, hitting adult social care in particular. Fight Racism! Fight Imperialism! wishes to pay tribute to Debbie, a staunch friend of the Revolutionary Communist Group and many of its members in Manchester and beyond, and a working class fighter for 40 years. Debbie was for many years a shop steward for the National Union of Public Employees at Prestwich Mental Health Hospital, and later for Unison. In 1997 she was a delegate to the World Youth Festival in Cuba, meeting Fidel Castro’s sister. We send our condolences to our comrade Bob and Debbie’s family on their loss. On Saturday 16 July, over 1,000 people marched through Liverpool city centre demanding justice for 18-year-old Mzee Mohammed who died at the hands of the police on Wednesday 13 July. The march was overwhelmingly young, black and working class, with lots of people there from the Liverpool 8 area where Mzee had many friends. RCG/FRFI supporters joined the demonstration where people called loudly for justice, transparency, answers, and, above all, an end to black deaths in police custody. Mzee’s death came at a time when Black Lives Matter demonstrations were taking place up and down the country. This was a stirring of political anger the likes of which have been eerily absent from Manchester's streets in recent years, and all the more significant that it should kick off in an area still suffering from racist police harassment, poverty and inequality, despite all the Labour council's 'regeneration' programmes. Well over a thousand marched to support the #BlackLivesMatter movement's demand for justice for Philando Castile and Alton Sterling at the hands of US police, but also expressed anger at the British state's own violence and racism. As in London and across the country, the RCG supported the protests and signed up more than 100 people to a petition connecting the issue of killer cops with Britain's racist deportations policy. By 6pm there were hundreds of people gathered in Alexandra Park, with more locals joining as they found out about the protest. There was a palpable sense of urgency from many in the crowd with some keen to march and becoming restless with speeches. Tariq Mehmood, a veteran of the Bradford 12 and Asian Youth Movement, was rapturously well-received for a fiery political speech, connecting the racism of Britain and the US with their role as imperialist powers. Carole Duggan spoke of the uprisings sparked by the murder of her nephew by British police in August 2011 and of the continuing struggle for justice against a ruling class set up to protect its own. Four Liverpool women charged with breach of Section 35 of the 2014 Anti-Social Behaviour, Crime and Policing Act will face trial in February 2016. Section 35 gives police (with local authority agreement) the powers to disperse protests and protesters from a specified area for 48 hours based on criteria they can decide at the time they issue the order. Liverpool Council is one of only a few authorities to support the use of these dispersal powers. Since their arrest at the end of April outside the occupied Bank of England building in the city centre, the four defendants have had to attend court on 12 occasions as the prosecution have constantly failed to provide any evidence for the charges - other than police statements at the most recent hearing in October. On Thursday 17 September, five Loveactivist protesters were gaoled for ten weeks for occupying the empty Bank of England building in central Liverpool in support of homeless people. Although all had pleaded guilty, there was no expectation that they would receive a custodial sentence. However, given the spate of occupations across the country highlighting homelessness, it was evident that there had been a decision to make an example of the five. Although one of the gaoled activists, Chelsea Stafford, was given a suspended sentence and released on appeal, the other four will have to serve their time. FRFI readers are urged to send cards and letters to them. The political momentum to occupy the Bank of England was provided by a militant solidarity campaign with the Palestinian people in Liverpool during the summer of 2014 which repeatedly occupied shops and banks either selling Israeli goods or investing in the Israeli economy, and in which FRFI supporters played a leading role. The spark was provided by cuts in Liverpool council services to the homeless. On 18 April 2015, activists seized the building and held it until the last five were forcibly evicted on 12 May. The occupation provided a safe space for dozens of rough sleepers and homeless people every night until the police sealed off any access on 29 April; over 1,000 people passed through the building bringing donations of food or expressing solidarity with its anti-austerity message, while polls showed that there was majority public support for the action. Despite subsequent denials, the local Whitechapel homeless charity referred homeless people to the occupation as it had no beds in the city. Once the building’s owners were able to secure a court order for its repossession, the police went on the attack. They erected a fence to stop the public from providing food and water to the occupiers and started to use dispersal powers against supporters under the Anti-Social Behaviour Crime and Policing Act 2014. These had first been used in October 2014 against pro-Palestine protesters. Around 20 people were arrested. One case has been heard: the defendant pleaded guilty and had to pay over £1,000 in court costs and fines. Remaining cases will be heard in November 2015. With no legal defence for defying the court order, and with the pressure of significantly greater costs if they tried to mount a challenge, the five activists pleaded guilty to the charge of aggravated trespass. Court costs totalled £2,500. This is class justice, intended as a lesson to all who want to undertake a real struggle against austerity and the consequent human suffering. James C Jones (Jay) A8149DN, also at Altcourse. Letter received from two of the LoveBank4. They are due for release on 21 October. Readers are asked to send them cards, letters or other forms of greetings. Well you said to expects lots of mail, we did not quite know what you meant, we certainly know now!!! We need you to pass this part of the letter on to as many groups as possible! We (John Hall and John Rice) would like to thank everybody for your support and solidarity, you are making our sentences really easy to serve. We would like to encourage people to help us to help some of the guys in here, who have nobody on the outside, by writing to them. We will be speaking to the Chaplain of Walton Prison (HMP Liverpool) and the guys to find some people and will pass on their names and numbers to you. We would suggest anyone willing to help by writing to them, gives as little personal details as possible, so maybe at first you should send the letters to us and we can blank out your address details, as we develop the idea we can work out a better system. We would also like to thank you all for the money you are sending us and to let you know that we are only allowed £10 a week, plus any wages we earn. So far we have received over £90 each which means we have enough money to last our full sentence, so we give you the choice, you can keep sending us money and when we are released, any monies left we will be able to donate to different groups, who are feeding the homeless people or if you have any other ideas, we can work out the sharing of the remaining monies, just let us know! We believe in using any situation to our advantage, so if anyone has any ideas of how to use our time in here to help others, please let us know and together we can use the time to share our way of life of love, peace, learning and sharing! We would like to maybe start some sort of help for people who need support and assistance with their cases, or for support for when they first get out of the prison system. We would like to say we are proud to do time for our efforts to help others, such as the homeless and that we believe the only reason we 4 are in prison is because we upset people like Mayor Joe Anderson and his likes who made the Judge put us in here. We are political prisoners, which we find ironic, when we are not interested in politics at all. Everything we do, we do as humans, who want to help other humans. We would also like to say on the record that we are peaceful men and anybody who says any different, in particular the media are lying. We thank you will all our hearts for making the time in here easy to face, through your support, solidarity and love, together we are making a difference! On 16-17 February three activists stood trial in Manchester on Public Order charges, following their arrests in a violent police attack on pro-Palestine protesters on 16 August 2014. After a seven month legal ordeal, during which they were banned from Market Street – a focus of protest in Manchester – the trial at the magistrates' court ended with one not guilty verdict, one case thrown out for lack of evidence and one activist found guilty on the verbal 'evidence' of three police officers who had clearly worked on their story. The fight for justice will continue as three more activists face trial in April. The situation is clear: building solidarity with Palestine must also mean a fight for our own rights in imperialist Britain. As we reported at the time of the arrests (Manchester - defend the right to protest for Palestine), the police crackdown on the protests against Israel's attack on Gaza was led by Manchester Labour council. Leading councillors Pat Karney and Richard Leese labelled peaceful demonstrators as 'extremists and revolutionaries' and publicly called for the pickets to end. At least 12 people were arrested, some of them violently, with 9 people being dragged through the courts. These attempts to destroy the Palestinian people's support base in Manchester have failed. The boycott Israel actions continue to gather support in the city. After day one of the trial, the inconsistent, unsubstantiated claims of the police witnesses seemed clear. Despite the claims of Inspector Rose and six constables that the demonstrators had created a hostile environment during the August protests, video evidence showed the police to be the aggressors. One officer even claimed that the protesters had aimed at 'invading the Arndale' shopping centre – which was totally untrue. On the day a police line had blocked protesters from getting to Marks and Spencer and after 10 minutes of chanting the march calmly headed back towards Piccadilly. Police ran to get in front of the gathering and literally picked off four activists for arrest. Comrade Louis was arrested while walking between police lines – police later said that he threatened PC Mackay – and comrades Annika and Francesco were arrested for trying to 'prevent' the other arrest. Witness evidence helped to show that Annika and Francesco were the victims of police aggression, refuting police claims that Annika in particular had been violent – videos from the day show her screaming in pain as a heavy gang of police use pain tactics to 'restrain' her. It was clear that Francesco's thoughts were to stay close to his partner and the case against him was thrown out. Annika was initially charged with assaulting an officer – a ludicrous claim – and was eventually found not guilty of any offence. Despite a lack of evidence to back up the police's claim of 'threatening or abusive behaviour', and with video showing a heavy buildup of police, comrade Louis was found guilty and fined over £850. The judge found the police testimony to be 'powerful'. In reality, its only power was in showing how police officers can concoct stories and have them believed by highly paid magistrates who work for the same employers. The campaign must now decide its next move and discuss the possibilities for appeal. Nevertheless we can celebrate a small victory with the police's failure to convict the three other defendants so far; comrade Ashleigh Shaw was also found not guilty of Public Order offences in January. Fight Racism! Fight Imperialism!/RCG has played a leading role in publicising the court cases and making sure nobody is unaccompanied to a bail hearing. Solidarity is essential to building a movement. In the 24 hours following the most recent verdict, supporters of the campaign raised over £700 of the £850 court costs! We call on all supporters to donate to the defence campaign and give solidarity to the ongoing struggle for justice. Labour Party politicians in Manchester organised an 'anti-cuts' rally in Albert Square on 3 February, with a big soundsystem, a few washed up Mancunian celebrities and a hashtag Twitter campaign #ManvCam, to 'send a message to David Cameron.' In reality this was the launch of Labour's General Election campaign, with speaker after speaker telling the crowd that there was 'no alternative' to a Labour vote. On the night, however, Revolutionary Communist Group supporters united with Stop G4S campaign, local pro-Palestine and anti-poverty activists to destroy this opportunist front. In an act of revolutionary sabotage, protesters sent a message that Labour's claims to 'stand up for Manchester' can be exposed and resisted. On 16 August on Market Street, Manchester, four protesters were violently arrested as they demonstrated against the genocidal attacks on Gaza, calling for an end to Britain's links with the Israeli occupation. A day later, five more suffered the same fate while protesting outside Israeli cosmetics shop Kedem on King Street. There have been more arrests since, with police using their powers to ban protesters from the city centre and at least five people are being forced to appear in court on spurious Public Order Act charges. On Sunday 10 August Manchester RCG branch supported a protest of over 50 people outside Wakefield prison protesting at the treatment of Munir Farooqi. Munir has been denied proper medical treatment for his diabetes and had been placed in an isolated position which allowed him to be assaulted by another prisoner. His family and supporters are calling for proper medical treatment for him and for his immediate release! Take to the streets…Intensify the Boycott! Manchester RCG called an emergency rally for Palestine in Piccadilly, in the centre of the city, on Saturday 12 July. Over 300 people joined in the event reflecting the growing anger against the brutal actions of Israel and the continuing support for and excusing of their actions by the British government and mainstream media. We organised an open mic for people to speak and express their outrage and opposition to Israel’s actions and the refusal of governments in Europe and the Middle East to openly condemn their actions. The speakers included young British Muslim women, Palestinians living in Britain, activists involved in Palestinian solidarity actions and representatives of political groups. The event had support from the Socialist Party and individuals from the PSC and Stop the War. There was a collective agreement that boycott activity on the streets of the city had to be organised to build real solidarity with the Palestinian struggle, an organising meeting has been arranged and activity will take place next Saturday in the city centre. Contact us for details. As the rally finished a group of around 30 motorcycles with Palestinian flags waving roared into Piccadilly on their way to the BBC as part of the ‘Drive for Justice’. This was the next port of call for many people on the rally and we made our way to the new BBC centre in Media City to join the event called by the ‘Drive for Justice’ which was an initiative set in motion by a group of young Muslims in Blackburn, Youth on a Mission, to condemn the bias reporting of the BBC on Palestine. The original idea was to organise a convoy of vehicles to travel from Blackburn to the BBC in Manchester but this was quickly picked up by other groups from towns in Lancashire and parts of west Yorkshire and within a week it had snowballed to a number of convoys converging on the BBC. The RCG/FRFI in Manchester also helped to publicise the event and encouraged people from our rally to support the event. On the day there was around 4,000 people rallying outside the BBC with hundreds of cars and motorbikes having taken part. There were a number of speakers at the event including us and we relayed the call of the PFLP to ‘take to the streets and intensify the boycott’. The success of the event, which had been organised within a week, showed the depth of anger at the actions of Israel and the complicity of the BBC and mainstream media in excusing and whitewashing Israel’s brutal bombing campaign and continuing occupation of Palestine. The numbers of people outside the BBC and the anger felt at the role they are playing shows the possibilities of building a strong anti imperialist campaign in solidarity with Palestine. The only campaigning stall at the event though was ours with queues of people lining up to sign petitions calling for the release of Palestinian political prisoners and to get leaflets and literature. Greater Manchester Police fail in their attempt to seize the Farooqi Family home! On Friday 23 May Greater Manchester Police (GMP) failed in their vindictive attempt to seize the family home of the Farooqi Family. On the second day of the court hearing Deputy High Court Judge Henriques accepted that the family members who lived in the house were innocent of any crime and should not suffer for the actions of Munir Farooqi who had been convicted of terrorism charges in 2011 (FRFI 224). Both days of the court hearing saw large numbers of people present in support of the family holding placards and banners and leafleting passers by about the events in the court. The Save The Family Home Campaign made links between its fight for justice and those of other campaigns in Manchester, Justice 4 Grainger and Justice 4 Barton Moss that have suffered at the hands of GMP. The court decision was a political blow to the GMP and the North West Counter Terrorism Unit who had been attempting to set a precedent in using the Terrorism legislation to seize the house in which Munir and seven family members, including two young children, lived. The decision to push for the seizure of the Farooqi family home had in fact been announced only weeks after the Labour council in Manchester had declared it would evict families of people convicted of offences during the uprisings/riots in August 2011. If the GMP had been successful in seizing the Farooqi family home it would have potentially opened the door to the state seizing the property of anyone convicted for opposing the policies of the government of the day. When Munir lost his appeal against his conviction in September 2013 the GMP added two other houses that the family own and rent out to the property they wished to seize. They claimed that Munir owned all the properties and that his claim for legal aid for his appeal was fraudulent. Judge Henriques denied the seizure order for the two houses but ordered Munir Farooqi to pay £500,000 court costs, £400,000 for his legal aid and £100,000 for prosecution costs. This draconian decision means the Farooqi family is still under immense pressure from the British state. However after the case they declared, ‘We shall continue to fight against the injustice with the help of the community and prove that there has been a miscarriage of justice in order to free our father Munir Farooqi’. On Sunday 3 November around 20 people demonstrated in support of Kevan Thakrar outside Manchester prison (Strangeways).The action was in protest at the continued ill-treatment of Kevan by the Prison Service and calling for an end to his years of solitary confinement. The protest was organised by Manchester FRFI/RCG and Kevan's parents Jean and Al. Supporters included JENGbA (Joint Enterprise – Guilty by Association) and the Justice4Grainger Campaign. At the end of the demonstration the protesters moved to the side of the prison to shout their support over the wall to Kevan, and later on got news that he had heard their calls of support! In June this year, Kevan was moved from the Close Supervision Centre at Woodhill prison where he had been held since being acquitted, in November 2011, of wounding three prison officers. Kevan's defence was that he acted in self-defence, following years of abuse by prison staff. His case was supported by a psychologist, originally retained by the prosecution, but who ‘switched sides’ after examining Kevan and determining that he suffered from post-traumatic stress disorder as a result of his treatment in prison. More than 20 prison staff gave evidence for the prosecution. Kevan's witnesses were all prisoners, all of proven bad character. The jury clearly chose to believe them. Kevan was told his transfer from Woodhill was a ‘progressive move’ and that he would be receiving psychological treatment at Manchester. In fact, he has received no psychological help and has been subjected to a daily regime of intimidation and abuse by staff. His visits have been curtailed, some held in closed conditions, despite neither Kevan or his visitors ever being suspected of smuggling contraband - the usual stated reason for closed visits. His mail has been stopped and he is subjected to numerous daily strip searches. For weeks now, he has been held in a special isolation cell, with no contact with other prisoners. The Prison Service is a key arm of the criminal justice system. Its staff do not question the convictions of those the courts send to prison. So, though Kevan's acquittal must still rankle with his keepers, they should respect the decision of the court which cleared him. They are there to serve the law, not to break, or be above, it. Report of Manchester protest: UEFA out of Israel! Israel out of Palestine! Around 50 people took part in a day of protest in Manchester on 18 May organised by Fight Racism! Fight Imperialism! in solidarity with the Palestinian struggle and against UEFA's decision to hold the 2013 Under-21 Euro football tournament in Israel. Members and supporters of the Revolutionary Communist Group (RCG) were joined by Manchester Palestine Solidarity Campaign, CPGB-ML and members of the public for a rolling picket of shops that are sponsoring the Euros and therefore giving a green light to Israeli apartheid, occupation and colonisation. The protests were provocative and received the support of hundreds of passers by. On Sunday 17 June Fight Racism! Fight Imperialism! (FRFI) joined a protest in Piccadilly Gardens, Manchester, to demand justice for victims of police murder in Britain. The Justice 4 Grainger campaign organised the demonstration as part of a national day of action supported by friends and families of some of the people who have lost their lives at the hands of the state. Since 2000 at least 33 people have been shot dead by British police and about 419 have died in police custody, yet not one police officer has been convicted for these deaths. The murder of Anthony Grainger on 3rd March 2012 by armed police thugs (see www.revolutionarycommunist.org/index.php/reports/manchester-reports/2521-justice-for-anthony-grainger) has sparked a militant campaign led by those closest to Anthony, leading to this first public demonstration on 17th June. The campaign demands justice for all victims of police murder and calls for those responsible for Anthony's death to be brought to trial. On the demonstration FRFI drew links with the brutal wave of cutbacks facing working class people, and the constant arming of the state by successive Labour and ConDem governments. A lot of working class people stopped to support the protest and share their own experiences in police injustice. Following the protest in Piccadilly, around 80 people marched to Bootle Street police station. The Justice 4 Grainger campaign has made a good start in mobilising ordinary people against the violence of the British imperialist police. Anthony's friends and family and other people involved know that this is just the beginning. FRFI is committed to supporting the struggle ahead to bring these killer cops to justice. On 3 March at 7.20pm 16 armed police officers from GMP surrounded a parked car in Culcheth, near Warrington, one of them proceeded to fire a shot through the windscreen killing Anthony Grainger who was sat behind the wheel. Anthony was one of three men in the car, they were all unarmed, no weapons were found in the car, they had been under police surveillance for some time so the police knew they were unarmed. The police had already shot out the tyres of the vehicle and fired a tear gas cannister into the car. This was an execution carried out by GMP. Since 2000 at least 33 people have been shot dead by the police in Britain and at least 419 have died in police custody, http://inquest.gn.apc.org/website/statistics/deaths-in-police-custody not one police officer has been sentenced for any of these crimes. The Justice4Grainger Campaign, https://www.facebook.com/#!/groups/anthony.grainger/ has been formed by his family and friends to campaign for the police involved in the killing of Anthony to be brought to trial to face justice. On Fathers Day, 17 June, they have called for a vigil in Piccadilly Gardens, Manchester to show the support for this demand. At the beginning of September in Manchester, Munir Farooqi, Israr Malik and Matthew Newton were convicted under the Terrorism Act of attempting to recruit people to go to Afghanistan to fight for the Taliban against British and US occupation forces. Now, not only has Munir been given a life sentence, but his family is facing eviction from their home by the courts in an act of vindictive collective punishment. Munir and his brothers ran Islamic information stalls in Manchester which distributed religious literature. The police operation that led to Munir and the two other men being convicted lasted for over a year and involved two undercover police officers joining the stalls and pretending to convert to Islam. At the end of the trial Detective Chief Superintendent Tony Porter of the North West Counter Terrorism Unit (NWCTU) admitted, ‘this was an extremely challenging case, both to investigate and successfully prosecute at court, because we did not recover any blueprint, attack plan or endgame for these men’. In other words it was the evidence of these two undercover cops that was crucial to the conviction of Munir and his brothers. Harris Farooqi, Munir’s son, was also on trial but was found not guilty; Harris has stated that the undercover cops had been engaged in a systematic attempt to entrap him. After the guilty verdict for Munir was announced, the NWCTU and the Crown Prosecution Service (CPS) informed the Farooqi family that they were going to apply to the court to seize their family home in Longsight, Manchester. This is the first time that the state has attempted to seize property belonging to people convicted under the Terrorism Act. The announcement came just weeks after the Labour council declared it would evict families of people convicted of offences during the uprisings/riots in August. A campaign to ‘Save the family home’ www.savethefamilyhome.com has been set up and within four weeks 13,000 petition signatures supporting the family had been collected. These petitions were handed in to the CPS on 8 November. The next day in a show of contempt for the family and their supporters the CPS went ahead with their application to the court for the seizure of the family home. The case will probably come to court in March 2012. We cannot let the state get away with this act of collective punishment, and FRFI supporters in Manchester will be actively supporting the campaign. Around 25 people took part in a lively protest in Manchester on 3rd July to call for a boycott of Israeli goods, in solidarity with the Palestinian liberation struggle. In a rolling picket organised by Fight Racism! Fight Imperialism! protesters demonstrated outside shops and banks to expose the reactionary nature of the British government’s support for the fascist Israeli state and its genocidal occupation of Palestine. Many passers by stopped to offer support. The protest started outside Lloyds bank, which has denied a British organisation the right to provide funds to the Palestinian charity, Interpal. In times where the multi-million pound bonuses of rich bankers are no secret, and when the real nature of the parasitic and unstable banking system has become clearer to ordinary people, the public in Manchester were unsurprised that a British bank would sink to such levels as refusing to allow vital funds to get to Palestine. Outside the bank, and throughout the day, hundreds of passers by stopped to find out more information. There were lively scenes as the picket moved on to Marks and Spencer, a company with a long history of support for the racist Israeli state. A lot of people in Manchester remember our comrades for their picket of the Market Street store that was a constant feature for over four years, withstanding attacks from the police, council and organised racists. Activists spoke on the megaphone about Marks and Spencers' continuing backing for Israel, as a key member of the British-Israeli Chamber of Commerce, and as a symbol of successive British governments' political and economic support for Israel. People stopped and gave donations to our campaign, and there was a lot of sympathy for the people of Gaza, who continue to suffer under a brutal blockade. The recent attack on the Gaza aid flotilla, in which 9 international activists were murdered by the Israeli military, is fresh in the minds of many people. The protest continued outside Schuh, a footwear store which sells Caterpillar boots and shoes. Caterpillar provides military bulldozers to the Israeli army, which uses house demolition as a 'punishment' tool against whole Palestinian commuinities who dare to resist occupartion. We also picketed Tesco, which sells a large amount of Israeli food produce, asking people not to buy from the racist regime. Finally, we spent the last part of our protest outside H&M, which has recently invested in Israel, announcing plans to open 7 stores there. A lot of people stopped to hear what we had to say and many were surprised that the company was involved in propping up the Zionist state. Overall the day of action was a great success and the support we were given showed that there is still a basis for building solidarity with the Palestinian struggle. Hundreds of people stopped to sign the petitions; we sold out of Fight Racism! Fight Imperialism! newspapers, selling 72 on the day; and we collected nearly £300 to help build our campaign. FRFI Manchester intends to build on this success and develop our work to support the revolutionary struggle of the Palestinian people. Boycott the racist Israeli state! Comrades in Manchester have been working hard to build the anti racist movement through the North West Asylum Seekers Defence Group (NWASDG). This involves more and more going out to working class areas to promote protests and campaigns against the government's racist policies of impoverishment, imprisonment and deportation of people seeking asylum. Halima Aboubacar, a 20 year old refugee from Cameroon with two children, was made to attend a hearing on 15 May. The appeal has since been rejected and Halima, her 1 year old son Bailey Jr and her new baby daughter Farida (both born in Britain) now face deportation to Cameroon, away from Halima's partner in Swinton. If this is allowed to happen Halima fears that her children may be taken from her, as was her first child before she fled. NWASDG is continuing to fight alongside Halima and her children for their right to live in Britain. At the same time we must continue to draw the links: Halima's case is one in thousands, all victims of racist immigration controls which must be scrapped. NWASDG has continued to support protests organised by Congo Support Project. Most recently this included the Congo Independence Day march on 30 June and demonstrations outside Dallas Court reporting centre in Salford, where asylum seekers are forced to sign on every month, every week or in some cases every day, not knowing whether they will disappear and be deported. NWASDG held a picket of Dallas Court on 18th June, an event supported by the International Organisation of Iranian Refugees, who pointed at the hypocrisy of the British government in its hostility to Iran while at the same time refusing asylum rights to Iranians fleeing the theocratic regime. At the invitation of Tameside African Refugee Association NWASDG were invited to speak about 'fighting 3rd world poverty' at the organisation's conference in Gorton on 23 June. An NWASDG/FRFI speaker spoke in detail about imperialism as the biggest cause of human suffering, especially for oppressed nations, talking about the role of US, British and other multinational companies and banks exploiting the peoples and resources of Africa, the Middle East and beyond. He gave this as the context of masses of refugees fleeing the war and poverty this creates. The speaker concluded by showing Cuba as representing the socialist alternative to the iniquities of global capitalism. On 24 June RCG/FRFI joined the Stop the War Coalition's demonstration in Manchester on the day of Gordon Brown's coronation as Prime Minister. We formed a small but noisy contingent on the march and were joined by the CPGB(ML) and others in chanting slogans in solidarity with the Iraqi resistance and against Labour imperialism. The demonstration's organisers, using the slogan 'Change the policy, not just the leader,' kept opposition to the Labour Party off their platform. Stop the War's pre-demo statement, signed by Lindsey German and Andrew Murray, claimed that 'this view is shared by many people in the Labour Party itself', and called on 'the British government to break from George Bush's wars.' Its statements like these, excusing the parasitic role of British imperialism in the world, which explain how the anti-war movement has demobilised to a turnout of just 3,000 people for a national demo in Manchester. Anti-deportation march, 11th August 2007 On 11th August more than 100 people marched in Manchester against deportations, The protest was called by North West Asylum Seekers Defence Group (NWASDG), along with Sukula Family Must Stay Campaign, No One is Illegal, Samina Altaf Will Stay Campaign, International Organisation of Iranian Refugees, Ethiopia Support Project, Mahoro Must Stay and Bolton National Union of Teachers; it was supported by Fight Racism! Fight Imperialism! and Tyneside Community Action for Refugees (TCAR). On the day there were representatives from the supporting groups, with asylum seekers from as far afield as Iran and Nigeria, as well as local people from Manchester and the North West. Saturday 18 October - Justice for Nadir Zarebee! Manchester! On Saturday 18 October supporters of Fight Racism! Fight Imperialism! supported a demonstration called by the International Organisation of Iranian Refugees in Manchester to protest over the BBC censorship of the death of Nadir Zarebee. Nadir hanged himself on 5 August 2008 in a park in Longsight, Manchester after being evicted from his home by the racist Home Office. This was the latest in a number of protests against the BBC who have refused to report on the real desperate situation of asylum seekers in Manchester and which drove Nadir to commit suicide.